What Touch Ultrabook Design do you Prefer? Now that Windows 8 launch is out of the way and we’ve seen most touchscreen-Ultrabooks that will launch over the next 3 months it’s time to give some feedback to the manufacturers and to Intel. You can vote in the poll below. We’ve defined 4 categories of form-factor in our database but we’ve expanded that to 5 in the poll. Here’s a summary of the form factors you can find in our database. 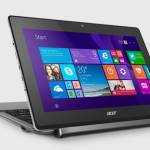 Standard Ultrabook with Touchscreen – Examples would be the ASUS Vivobook S400, the HP Envy Touchsmart and Samsung Series 5 Ultra Touch. 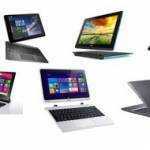 They are based on traditional laptop designs but include touchscreens. 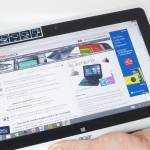 Detachable touchscreen – Examples would be the ASUS Transformer Book and the Samsung ATIV Smart PC Pro 700T. The screen unit is detachable from the keyboard and operates as a tablet. 180 Degree Rotating Touchscreen – We’ve grouped three variants of rotating touchscreen together here but all three offer a similar experience where the screen can be rotated and closed with the touchscreen facing outwards. The solution can act as a tablet. 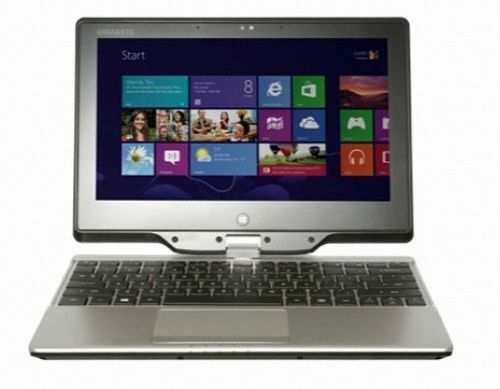 Examples are the Lenovo Thinkpad Twist, Dell XPS 12 convertible and Panasonic AX. Double-sided fixed touchscreen – There’s only one example of this form factor. The ASUS TaiChi 31 and 21 offer a double-sided screen. The inner screen is a standard non-touchscreen and the outer screen comes into action as a touchscreen when the lid is closed. I like both the detachable touchscreen and the 180-degree touchscreen approaches. 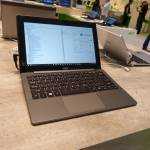 The detachable touchscreen seems to produce a lighter tablet, but the whole laptop may turn out being too heavy (as the keyboard can’t be too light). In addition, it may be possible to replace the keyboard with one sold by third parties (if such thid-party keyboards ever becomes available). The 180-degree touchscreen may have lighter laptops, but heavier tablets (as the keyboard may not be separated). 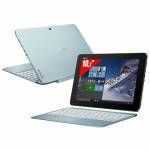 The 180-degree touchscreen has the advantage of allowing the use of the keyboard as a support for the tablet. I don’t see a reason for the double-sided fixed touch-screen as in the Asus Taichi. There’s no point in having two screens when you can only use one of them at a time. I’d rather have only one higher-quality display than two lower-quality ones. The slider touchscreen seemed good, but it appears to break easily; plus, the keyboard is too small. all the others don’t appeal to me. The Yoga-style and the Dell XPS 12 hinge IMO is so much better than the Twist that they shouldn’t be in the same category. The old Twist-like one relies on a single hinge, and is kinda ugly. The one in the XPS 12 and Yoga is far simpler(therefore inherently more reliable). I’ll tell you why I believe that. The XPS 12’s main mechanism is the rotating part and the locking part. The locking part is magnets which don’t randomly stop functioning, and the rotating part depends on the implementation. There’s probably a rod on the rotating part that’s either connected to the aluminum frame or the rotating screen. That would be probably the biggest worry, but if the rod and the material that holds the rod is made out of durable materials, I think that would last. There’s nothing that needs to flex significantly that can wear out over time, and it seems pretty simple. On the Lenovo Twist parts, the mechanism is right on the center. Usually it’ll be held at the edges to rotate the screen, so there will be significant amount of torque on the mechanism. Because the screen is lot larger than the mechanism and there’s only a single one, lot of pressure will be there. Ideally you’d rotate it when the screen is perfectly right angle with the keyboard chassis, but that’s not always going to happen. You’d be applying force in both y-axis(open/close in clamshell) and the x-axis(when in rotation), even if you might be doing one thing at a time. Force means potential for breaking apart. Even regular Notebook hinges break apart, this just introduces two ways of breaking it. XPS has one, which is the rotating portion. Not to mention in terms of usability flipping a screen like the XPS 12 is far faster than on the Twist. For me, one very important purpose of building a tablet mode into a notebook is to enable super-quick usage of the same machine. Sadly the Taichi only have one side touchscreen, which is utterly stupid. So based on current available models, I’ve voted for Sliders. Couldn’t see the option for ‘No touchscreen’ . . .
« Analyzing the Acer W510, The Worlds Lightest Windows 8 PC…For Now.